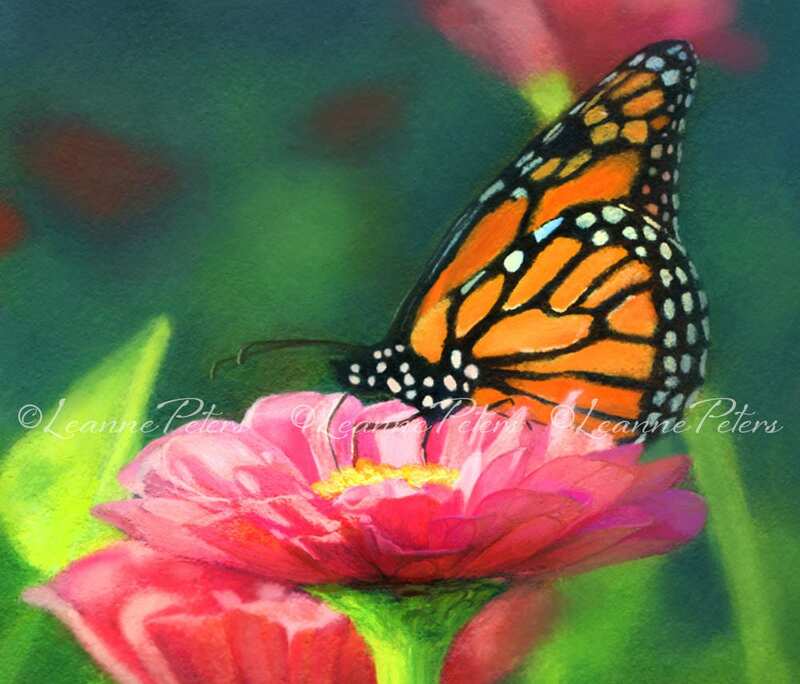 This INSTANT DIGITAL DOWNLOAD of my oil painting (with digital painting enhancement) is of a beautiful monarch butterfly getting a drink from a garden zinnia. Reference photography by the talented Dorothy Drobney! You will receive a high resolution (350 dpi) JPG file. With this file, you can print an 8"x10" print. (Actual dimensions of file are 8.5" x 11" for ease in printing. Simply trim to the size you would like!) Design has elegant white space surrounding the image as is shown in its photo. If less white space is desired, simply trim in. • You can print at home. 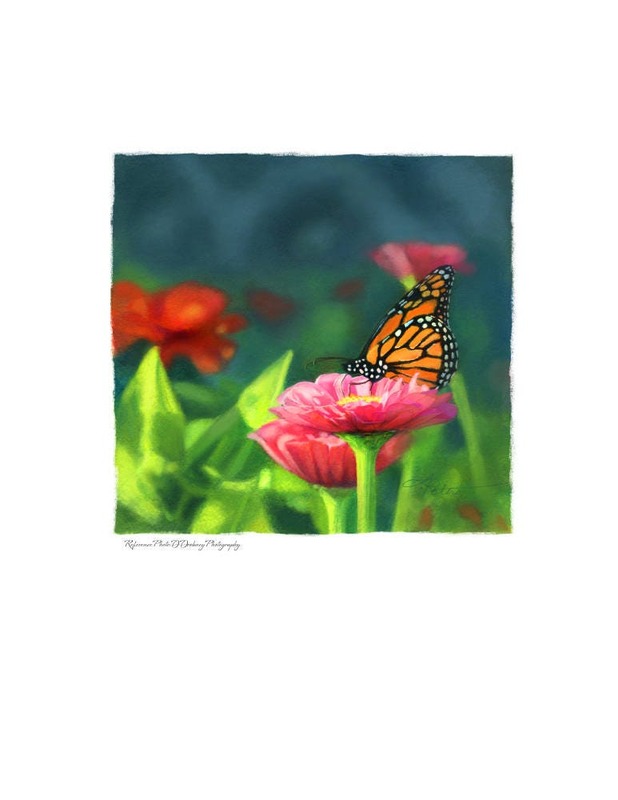 • You can use in a digital picture frame. • You can send the file to your local printer/photo printing shop. • You can upload the file to an online printing service such as Shutterfly.com or Mpix.com.